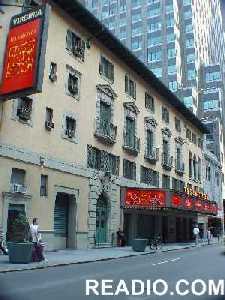 "The Virginia Theatre is located on 245 West 52nd Street between Broadway and 8th Avenue New York, NY ." BOOKMARK THIS BROADWAY SHOW TICKETS SALES PAGE - CLICK HERE! DISCLAIMER: Theatre Show tickets are purchased through "Tele-charge". Readio Magazine merely refers clients to them and has no liabilities for arrangements made with "Tele-charge".